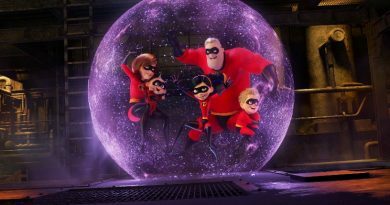 Following are the newcomers and “Cars” franchise veterans who join the previously announced voice talent and characters: Owen Wilson as world champion racer Lightning McQueen, Cristela Alonzo as unconventional trainer Cruz Ramirez, and Armie Hammer as sleek next-gen racer Jackson Storm. Kerry Washington (ABC’s “Scandal,” HBO’s “Confirmation”) lends her voice to Natalie Certain, a highly respected statistical analyst who knows her numbers. Book-smart and mathematically gifted, Certain may earn top marks in her ability to evaluate a racer’s stats, but she could be underestimating the importance of determination. Nathan Fillion (ABC’s “Castle,” ABC’s “Modern Family”) voices Sterling, a brilliant businesscar who runs Rust-eze Racing Center—one of the most successful elite training facilities in the country. The always dapper Sterling comes across as unassuming and laid back, but business is business, and Sterling is driven to ensure all of his investments pay off. Lea DeLaria (Netflix’s “Orange is the New Black”) provides the voice of Miss Fritter, a local legend at the Thunder Hollow Speedway demolition derby. Fritter’s formidable school-bus size is intimidating, but it’s her smoke stacks of doom, razor-sharp stop sign and crazy collection of her victims’ license plates that usually steers her opponents in the other direction. Three-time Formula One world champion Lewis Hamilton was called on to voice Hamilton, a fully loaded, built-in voice command assistant to high-tech trainer Cruz Ramirez. When Lightning McQueen takes his training off road, Cruz enlists Hamilton’s help to keep the struggling racer on track. 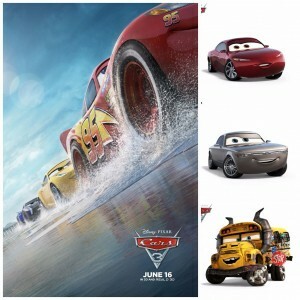 “Cars 3” also welcomes the gang from Radiator Springs back to the big screen, including Lightning McQueen’s best buddy Mater (voice of Larry the Cable Guy), and #95’s No. 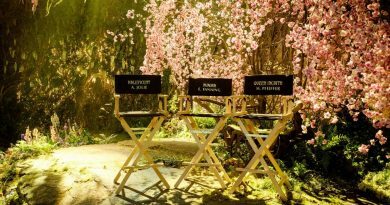 1 fan Sally (voice of Bonnie Hunt). Friends supporting their hometown hero include Fillmore (voice of Lloyd Sherr), Sarge (voice of Paul Dooley), Lizzie (voice of Katherine Helmond), Ramon (voice of Cheech Marin), Sheriff (voice of Michael Wallis) and Flo (voice of Jenifer Lewis). Loyal transporter Mack (voice of John Ratzenberger), big-hearted Italian Fiat 500 Luigi (voice of Tony Shalhoub) and charming little Italian forklift Guido (voice of Guido Quaroni) continue to support Lightning McQueen’s racing endeavors. World-renowned sports announcer Bob Cutlass (voice of Bob Costas) is still calling the races, and Chick Hicks (voice of Bob Peterson) is back—this time as a commentator on the Racing Sports Network. The lovable duo Dusty (voice of Ray Magliozzi) and Rusty (voice of Tom Magliozzi) return as Rust-eze’s chief proprietors—though they have big things in store for Lightning McQueen. 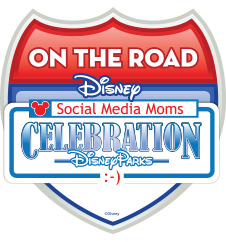 “Disney Social Media Moms On-The-Road” Announcement!